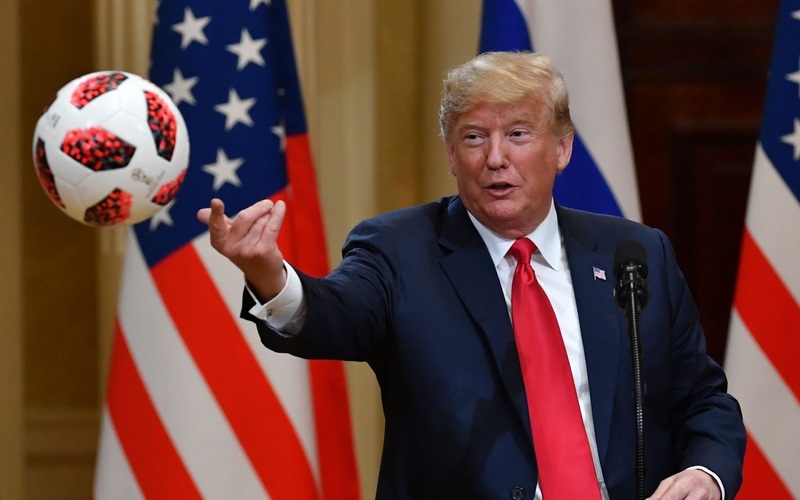 US President Donald Trump throws to his wife (unseen) a ball of the 2018 football World Cup that he received from Russia's President as a present during a joint press conference after a meeting at the Presidential Palace in Helsinki, Finland. The US and Russian leaders opened an historic summit in Helsinki, with Donald Trump promising an "extraordinary relationship" and Vladimir Putin saying it was high time to thrash out disputes around the world. 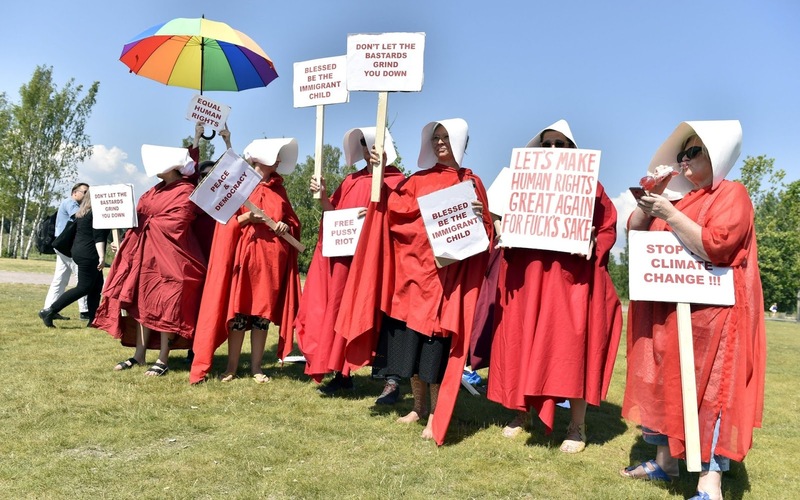 Demonstrators in costumes inspired by the HBO's Handmaid's Tale protest against the meeting of the U.S. and Russian Presidents in Helsinki, Finland. 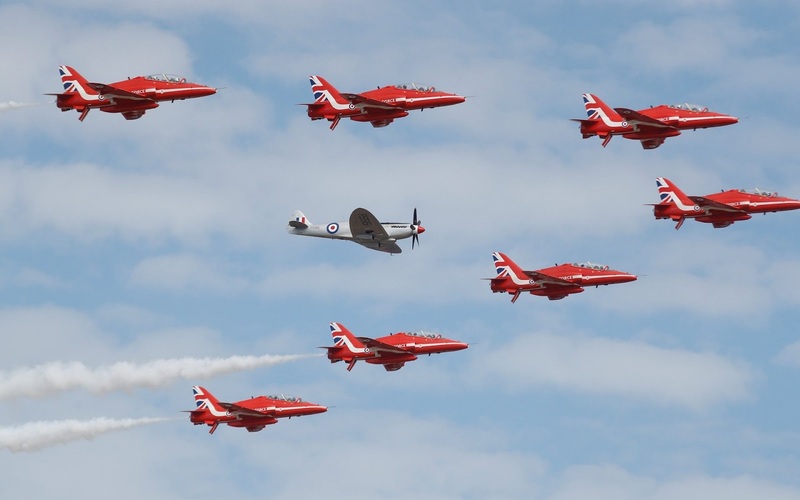 The Red Arrows, Royal Air Force Aerobatic Team, are joined by a Spitfire at the opening of the Farnborough Airshow, in Farnborough, UK. 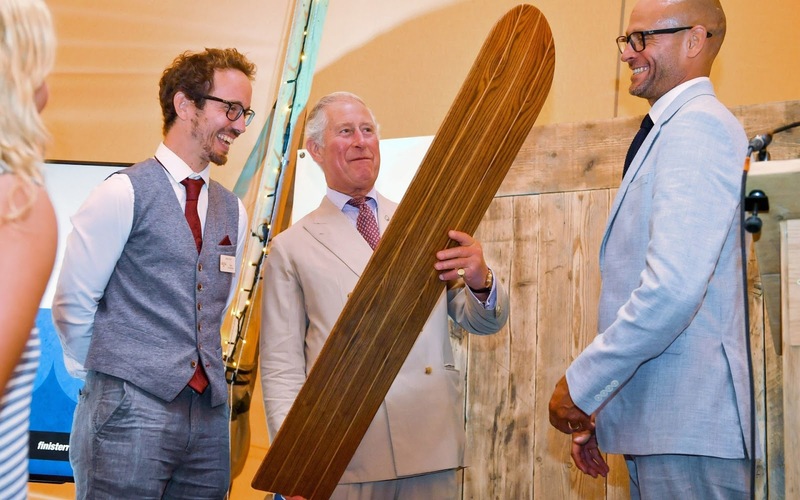 The Prince of Wales (centre) inspects a traditional belly-board given to him at an Ocean Plastic Solutions Day organised by Surfers Against Sewage and Finisterre clothing company at Wheal Kitty, St. Agnes, Cornwall. 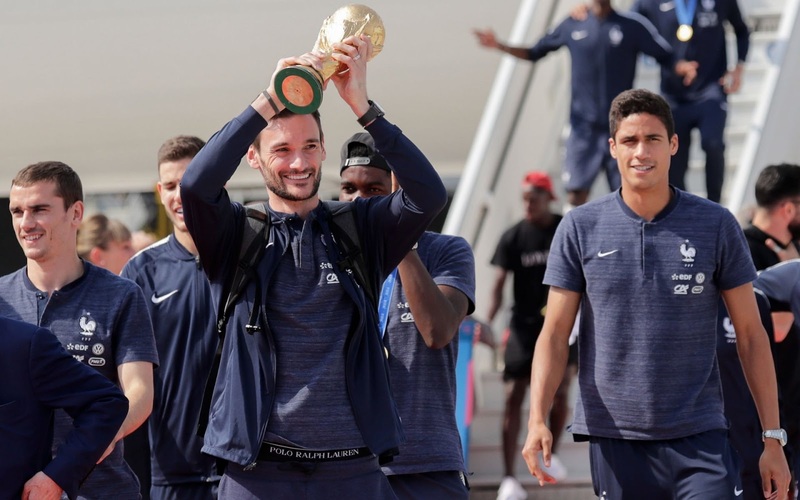 France's goalkeeper Hugo Lloris (C), flanked by France's forward Antoine Griezmann (L) and France's defender Raphael Varane (R), holds the trophy as he celebrates with teammates while they disembark from the plane upon their arrival at the Roissy-Charles de Gaulle airport on the outskirts of Paris after winning the Russia 2018 World Cup final football match. 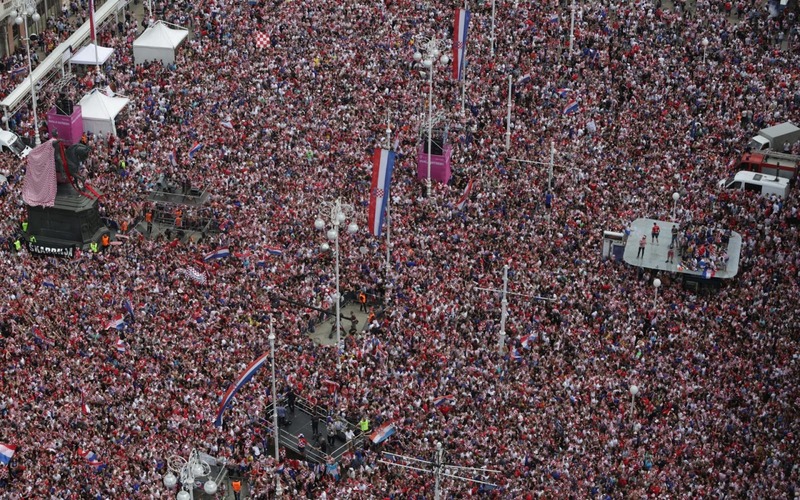 Fans wait for the arrival of Croatian national football team at the main square in Zagreb, capital of Croatia. 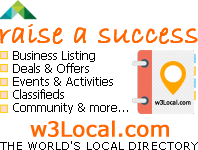 Croatia won the second place at the 2018 World Cup in Russia on Sunday. 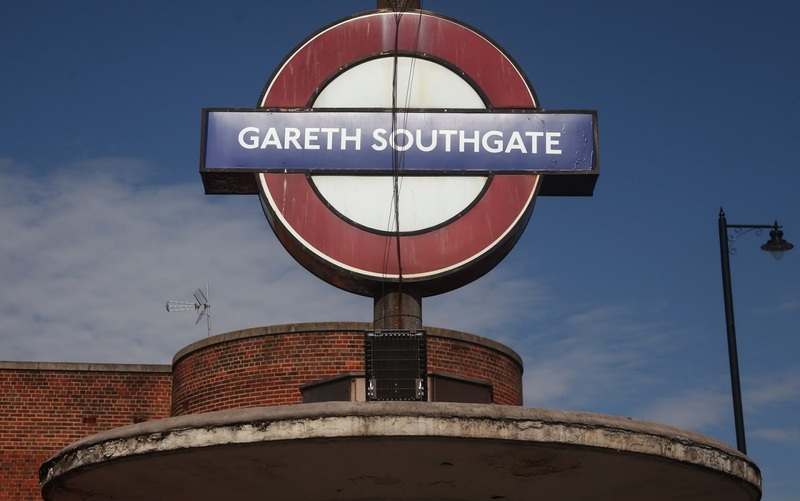 Southgate Tube station in north London is temporarily renamed Gareth Southgate for 48 hours, to welcome home England football manager Gareth Southgate and his team after the World Cup. A handout picture released by AELTC shows 2018 Wimbledon Men's and Women's singles champions Serbia's Novak Djokovic (L) and Germany's Angelique Kerber dancing on stage at the Champions Dinner in central London. 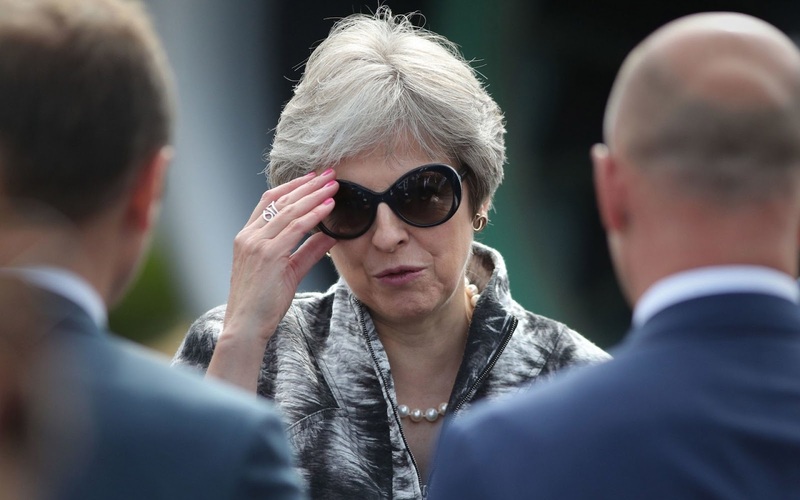 Prime Minister Theresa May during the opening day of the Farnborough International Airshow in Hampshire. 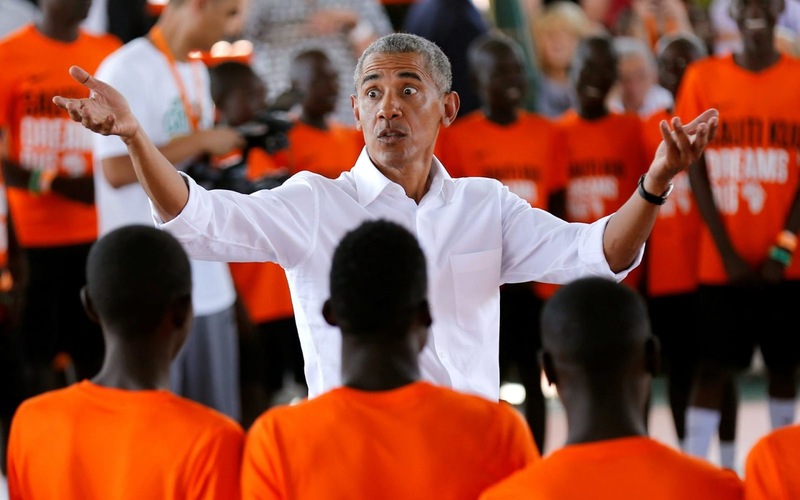 Former U.S. President Barack Obama reacts as he addresses players at the basketball court during the launch of Sauti Kuu resource centre near his ancestral home in Nyangoma Kogelo village in Siaya county, western Kenya. A fossil-mad teenager has stunned his teachers by creating a life-size dinosaur from scrap metal for an A-level project. 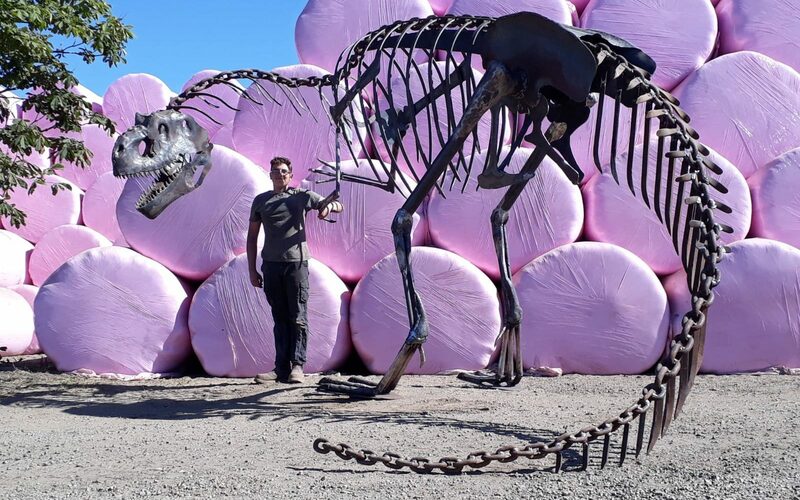 William Wisson-Burton, 17, spent eight months creating the 27-foot-long, 15ft high Allosaurus in his dad's workshop. The giant model has taken 400 hours of work and was made using cast off metal and pieces of chain. The finished model is now proudly standing outside the teenager's home and will be submitted as part of his A-level in paleontology - the study of fossils. 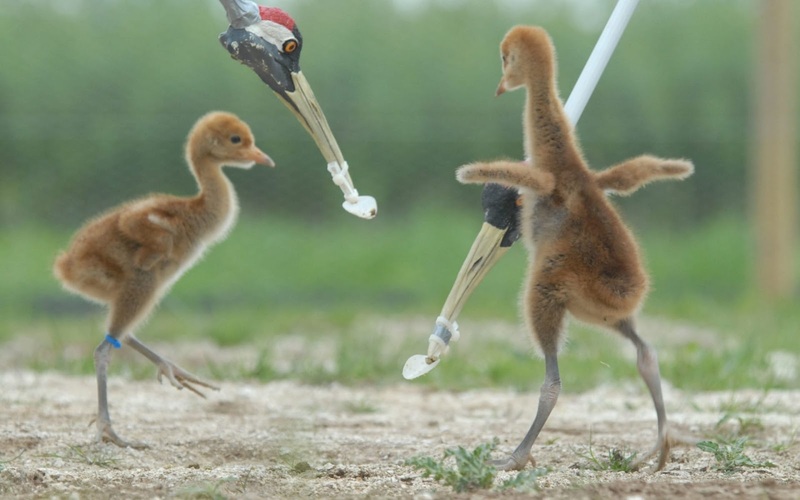 Two common crane chicks being fed with a customised litter pickers and spoons. Scientists at the University of Exeter, the RSPB and the Wildfowl and Wetlands Trust (WWT) predict that common cranes which recolonised eastern England less than 40 years ago after a 400-year absence are now here to stay. The research found that there could be as many as 275 breeding pairs of the UKs tallest bird within 50 years. 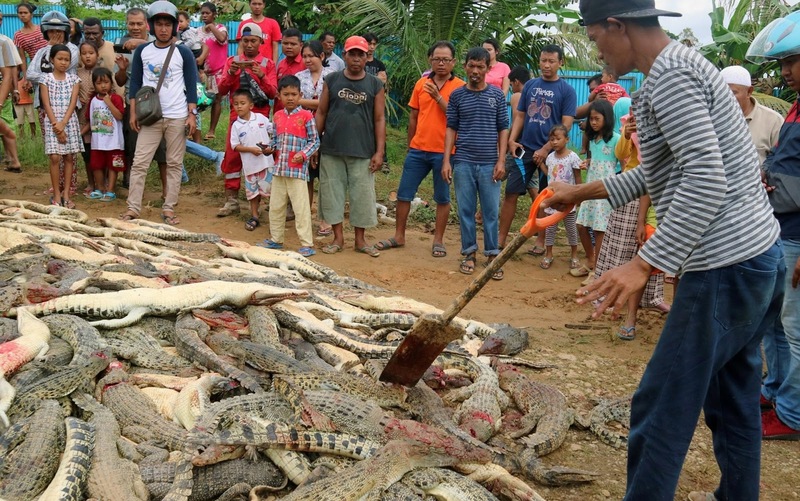 Local residents look at the carcasses of hundreds of crocodiles from a breeding farm after they were killed by angry locals following the death of a man who was killed in a crocodile attack in Sorong regency, West Papua, Indonesia. 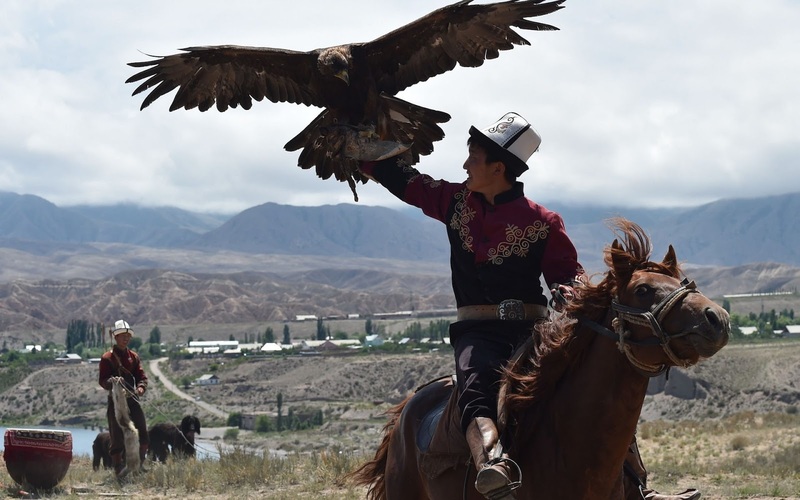 A Kyrgyz berkutchy (eagle hunter) holds his golden eagle during the 'Ethno Fest' festival in the village of Ton, near Lake Issyk-Kul, some 300 km from Bishkek in Kyrgyzstan. 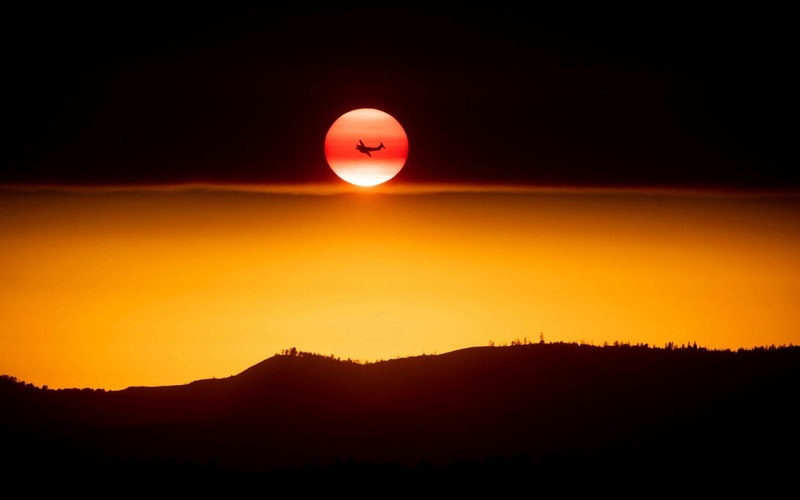 A plane battling the Ferguson Fire passes the setting sun in unincorporated Mariposa County California USA, near Yosemite National Park. 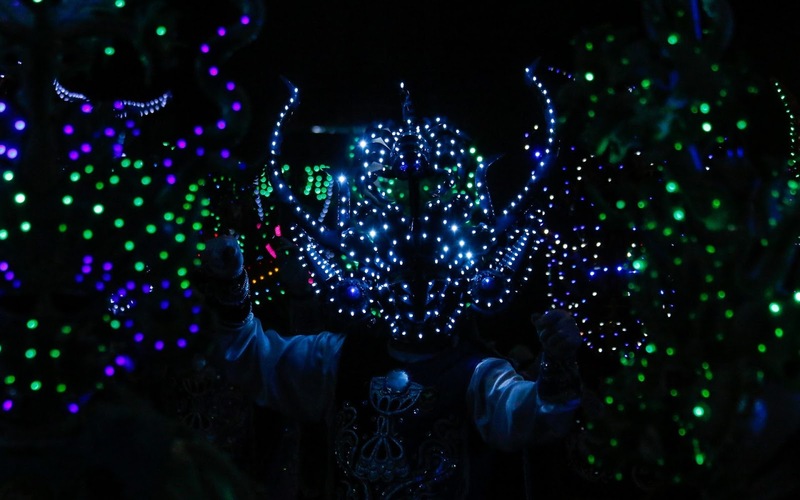 A Costumed traditional dancer performs during the religious carnival of "La Tirana", in the town of La Tirana, 78 km east from Iquique in northern Chile. The celebration is in honour of the Virgin del Carmen and is the largest religious holiday in Northern Chile. The celebration of the Tirana is an Andean festivity related to the mining workers and farmers of the zone in Chile and Bolivia. 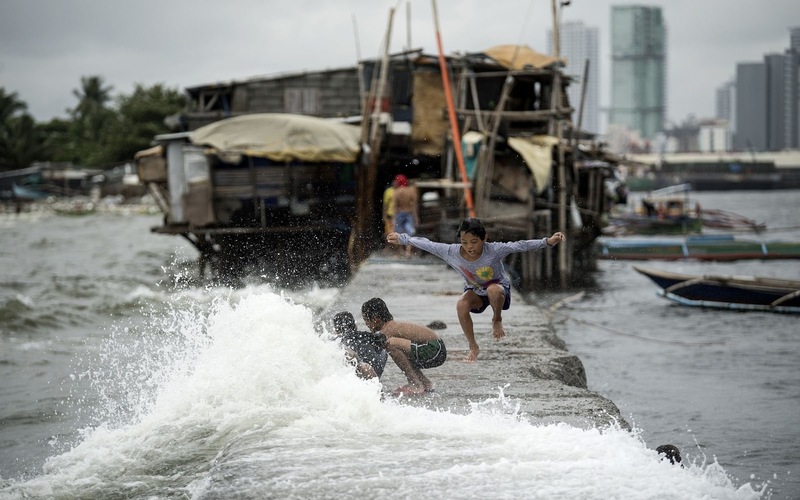 Children living on houses erected on the sea wall of Manila Bay play with waves caused by the Tropical Depression Henry that brought heavy rains in Metro Manila and the northern part of Luzon. 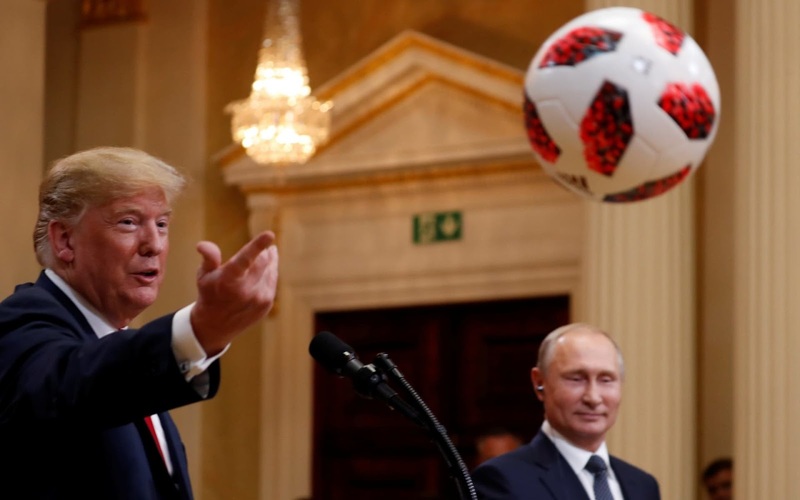 U.S. President Donald Trump throws a football to U.S. First Lady Melania Trump during a joint news conference with Russia's President Vladimir Putin after their meeting in Helsinki, Finland.